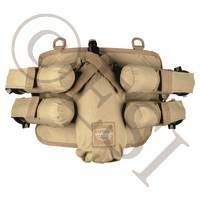 We use the term harness to apply specifically to a type of pack that is designed to carry a tank. 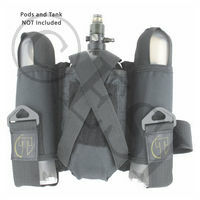 This can be an extra tank, or your gun tank on a remote line. 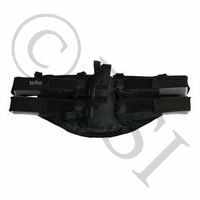 A remote line runs from the back of your gun to your tank on your back so that the gun is lighter and more compact. 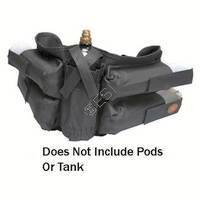 If you're not using a remote line then the tank pouch is a good place to put a bottle of water or other drink instead of lugging back to your car during the break. 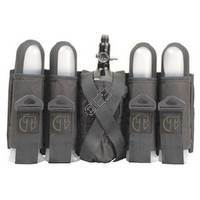 Affordable and durable pod packs from Empire Paintball! . 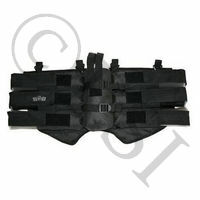 . .
Nxe SP Series 2+1 Pod Harness with Belt - Black .